Join us at RUBY's Diner in Whittwood. 20% of your purchase will come back to Leffingwell. It will take place all day! 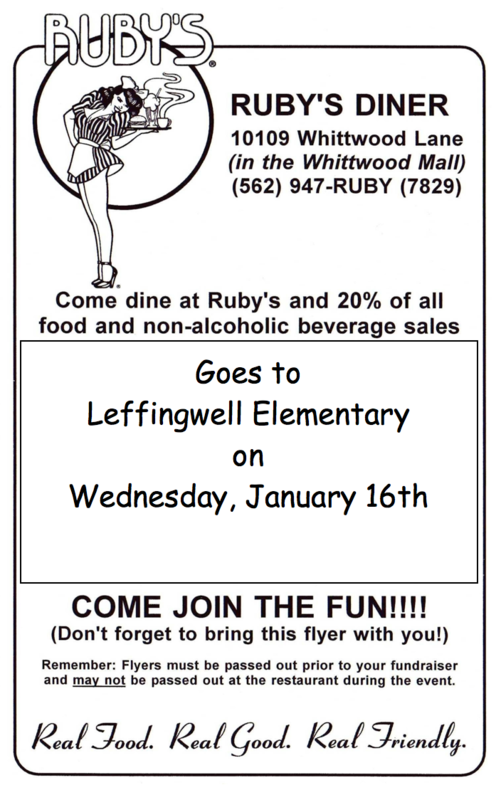 Don't forget to bring the flyer and let your server know that you are from Leffingwell. Thanks for supporting our school!